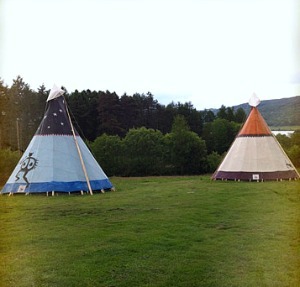 Lake District Holiday Tipis add a unique charm to camping. There is nothing quite like that 'Feel Good Factor' from living outdoors and you can choose from the more basic Tipis to those with all the luxuries, including a corkscrew thrown in. 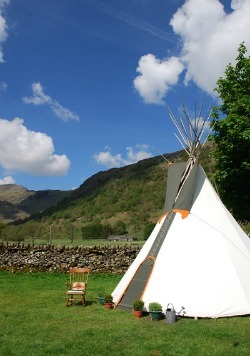 Base Camp Tipi are introducing 3 Nordic tipis to the lovely National Trust owned campsite at Great Langdale. Tipi campers will have access to all amenities available on the site : toilets, showers, shop, parking etc. Each tipi is on a raised wooden platform and contains a wood-burner, reindeers skins, log basket. Campers should bring their usual camping and outdoor equipment, basically everything apart from the tent. Booking starts from March 13th and we hope to have photographs of the Tipis very very soon. These Tipis managed by 4 Winds are eco-friendly and come fully equipped with, yes you've guessed it a dream catcher but also to make your stay stress free, with rugs, futons, cutlery, BBQ's and even a corkscrew! Tipis camping at the Low Wray National Trust site is by the river. Guests have access to Windermere itself, ideal for windsurfing, canoes and dinghys. Perfect for weekends or short breaks as everything is ready for your arrival and they are eco-friendly too. The Low Wray Tipis have just had wood burning stoves installed which will make them toasty warm during those shoulder months or when the summer sun has forgotten to shine. What better way to celebrate a special occasion, tempt reluctant children or teens to enjoy the great outdoors or just treat yourself to something slightly different? National Trusts sites observe quiet times from 10pm - 7am. To protect the natural beauty of the site; parking is available in designated areas away from tipi pitches. The camp sites hot showers are within a 100 yds of the tipis. Read more about 4 Winds Tipis. Three tipis are available (owned and managed by 4 Wind Tipis) at the lovely National Trust campsite at the southern end of Coniston, which is a delight and has fabulous views, access Coniston Water. Hoathwaite National Trust camping site has basic amenities, combine with the very well equipped Tipis and you have yourself a little piece of heaven. Being a National Trust site - there are limits on large groups and in keeping with the tranquility of the moment noise restrictions must also be adhered to. For a small fee non-powered boats can be launched onto Coniston here and it is perfect for canoes and indeed for anyone who fancies a paddle! Coniston is approx 2.5 miles north with a good range of shops including a post office and fuel station; 9 miles south is the small village of Grenodd which also has a fuel station. Within walking distance at Torver, probably around a half hour walk are two great pubs, The Wilsons Arms and Church House Inn, both have excellent menus and serve local ales. Talk about the best of both worlds! This Tipi is managed by Nomad Events on a site with breathtaking surroundings and excellent facilities. The tipis, which are made in the UK are waterproof and fire retardant. They are 18ft in diameter and can sleep 8 comfortably and 12 at a squeeze. Making them great for families as well as group camping. Small campfires are normally allowed by the Warden as long as they are away from the canvas and raised from the floor. I'm already imagining toasting marshmallows outside a Tipi with maybe a song or two! The insides of the tipis are lined with a natural coconut carpet and beds can be hired if required. Nomad Events can provide you with breakfasts, packed lunches and good local BBQ food if you don't want the bother of bringing cooking equipment or washing up. Just discuss all your requirements with them at the time of booking. The campsite facilities include a modern shower and toilet block with free hot water (though be prepared this may run cooler during peak periods), there are also shaving sockets and power points. There is a dish washing area in addition to a laundry and a drying room. With over 40 years campsite experience, Chapel Farm was recently rated in the top ten campsites in Cumbria by The Guardian's Holiday Guide to the Lake District and Cumbria. 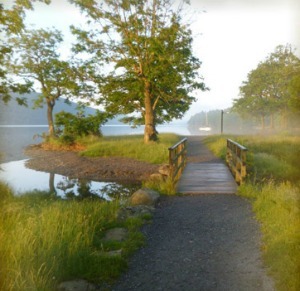 At the foot of Bessyboot in the fabulous Borrowdale Valley, it is a greenfield site, boasting stunning views and ideally located for the Coast to Coast pathway and the Cumbrian Way. The tipis sleep 8 comfortably and up to 12 at a squeeze. They are managed by Nomad Tipis and will be setup on a camping pitch ready for your arrival at Chapel House Farm Campsite, please note you will need to prebook and confirm your Tipi in advance. Onsite facilities include: lit male & female toilets, Shower Block (note hot water at an additional cost and may not be available in winter months) and a dish washing area. There is ample on-site parking. Read more information about the Chapel Farm Campsite here. The possibilities are endless. Choose from one of these fantastic locations or if you have an area of flat ground then Fjell Tipis can transform your event into a masterpiece adding a real wow factor! Perfect for Weddings, Parties Festivals, team building events or just for a 'Chill Out' evening with friends. Their service doesn't just start and end with the Tipi hire but can include stages, catering tents, sounds and lighting, fires, heating and perhaps most importantly a loo too! Fjell are very professional and will be able to offer advice from their wealth of experience. They also have great contacts with other leading businesses within Cumbria so if you require a service that is outside their scope they can put you in touch with a reliable contact. If you'd like to see more photos of previous events or contact Fjell Tipis to discuss further details and obtain quotes, then head over to their website here.